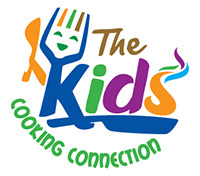 The Kids Cooking Connection founder and instructor Tracy Mohr's story begins in LeClaire, Iowa. With a little help from her mother, she opened her own dance studio at the age of 16. After cultivating a passion for dance in children for 5 years, she had dreams of dancing for "The Mouse" in Orlando, Florida. With only $800 in her pocket, she packed up her meager belongings and made the move. She achieved her dream and performed as a cave girl, a princess, and even as Pluto. She later transitioned to a career in selling vacation ownership which turned out to be the best decision of her life. She met her amazing husband, Martin, who just happens to be the funniest person alive. They've made a great life together in their home in Winter Garden, Florida, and have two hilarious children, Alex and Jordan. As self-proclaimed foodies, Tracy and the kids have a blast whipping up meals and watching all the best culinary TV shows. Tracy has always had a passion for teaching children and cooking, so when she discovered the Healthy Hands Cooking Curriculum, it was a perfect fit that inspired her to found The Kids Cooking Connection. Now she empowers kids to cook and eat healthy and is making another dream come true.